Drive Medical Universal Walker Wheels w/Rear Glides - 10109. 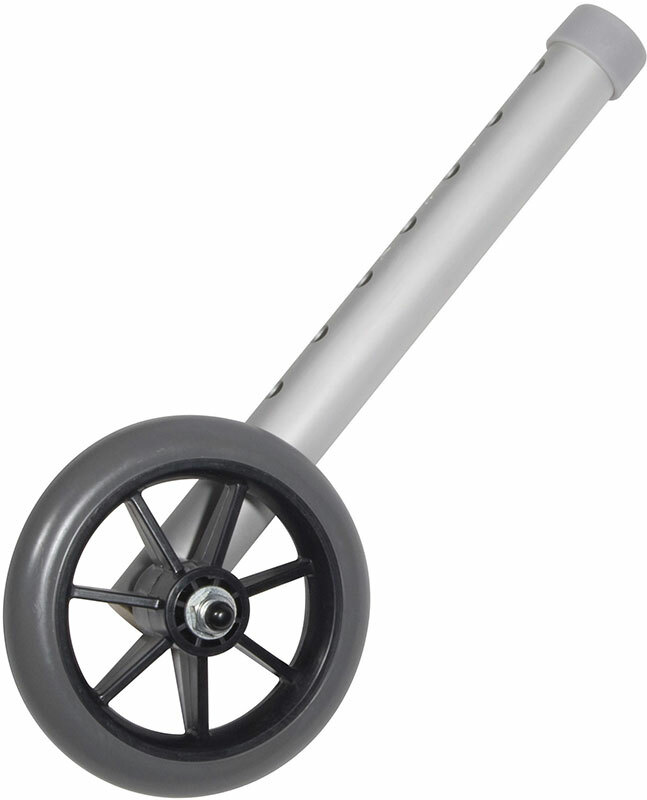 The Drive Medical Universal Walker Wheels with Rear Glides comes with 5" caster wheels and two sets of rear glides. Converts folding walkers into a wheeled walker. Allows for 8 height adjustments. Rubber wheels allows walker to roll easily and smoothly over irregular surfaces. Includes rear glide caps and glide covers allowing use on all surfaces.